In our first post in this series, we discussed the key advantages of the BC model and the reasons that it should succeed as an apex financial inclusion tool. However, as we stated in our second post, the model has not been performing up to its expectations since its inception in 2006. Along with low usage patterns of No-Frills accounts, the second major problem faced has been an asymmetry between the needs of agents and clients and the procedures followed by BCs and banks. These problems are specific to each tier in the BC model, namely the BC itself, the agents and the clients. The sustainability of the BC model is dependent on the volume of transactions. These volumes are extremely low, as we discussed in our previous post. A revenue-cost analysis in an upcoming CMF study found that urban CSPs are making a profit while rural CSPs are losing money. This is because transaction volumes are higher in urban, remittance heavy areas. Agents are also struggling to make a profit as the current commission structure is inadequate to cover agents’ costs. Tiered commission structures usually remunerate the agents a percentage of the amount transferred or facilitated. The advantage of that would be agents targeting clients who make higher volume transactions while they would be less willing to serve clients who make low volume transactions, which is the primary focus of the BC model itself. CMF’s research study cites that a flat commission structure on the other hand could give agents an incentive to do artificial transactions, crediting and debiting accounts by the same amount and making money off the transaction itself. The most prominent problems faced by the agents are related to cash management and liquidity issues. BCs typically transfer as much money to agents as the security deposit paid by them. However, there are typically large gaps between deposit and withdrawals due to location specific characteristics, such as rural areas being withdrawal heavy due to incoming remittances. BCs expect their agents to use their own cash to make withdrawals if they do not get sufficient cash through deposits. As a result, agents often end up facing a liquidity crunch, which leaves them unable to provide withdrawals, risking their reputation as well as that of the bank. However, if cash collection facilities were to be provided by BCs, they would add to the cost of operations for the BC. Agents have reported issues with the base branch claiming branch officials restrict agents to opening only 5 accounts per day and even simple requests to display account numbers on cards given to clients take months to be processed. Technical glitches faced by agents also hinder BC work, ranging from improper functioning of the bank server to other software glitches. Many agents stated that the BC channel should serve multiple diverse products to fulfill the needs of the clientele. The CMF study found that clients engaged in services, agriculture and allied activities maintained the highest balances in their NFAs. Labourers on the other hand, maintained the smallest balances and carried out the least number of transactions. The two primary problems identified by clients included agent inactivity and lack of knowledge about the product. (i) One-fourth of the clients of a particular BC said that the agent in charge of collecting their deposits never visited them. In other areas accounts were opened but no agents were appointed for the clients. (ii) 24% of the clients surveyed cited poor services or lack of information about the account and its features as the primary reason for inactivity. Showcasing the dire need for financial education, some clients in the survey used NFAs solely for remittances and were not even aware of the fact that they could use these accounts to save! Many of the BCs in the study believed that costs and risks involved in cash management are entirely and unfairly borne by the BC or its agents with little or no contributions from the bank. Agents sometimes retain cash if they anticipate future withdrawals but this makes it difficult for the BC to transfer the balance to other agents and creates a shortage of cash in the settlement account of the BC. In the absence of overdraft facilities, agents as well as BCs don’t have enough cash to facilitate withdrawals and settle the amount with the principle bank at the same time. These issues, combined with the inactivity of No-Frills accounts have contributed to the poor performance of the BC model so far. In order to be successful, the model must fulfill the RBI’s financial inclusion goals while ensuring financial viability of the model for BCs. Our next post in this series will discuss policy recommendations to improve the functioning of the model and improve its performance in the long run. Agents sometimes retain cash if they anticipate future withdrawals . 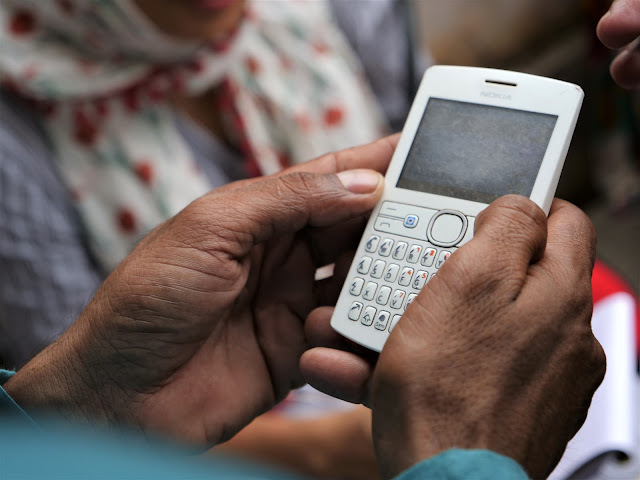 Opening an account = financial inclusion, when will this equation change ? when will efcctive use be a part of FI definition ? when will RBI find a complementing role between SHGs in the FI initiative ?